Over the last week, the Libyan National Army (LNA) has continued to consolidate its presence in and around Sebha as a part of its campaign to secure the southern region. On 15 January, the LNA’s Sebha Military Region ordered all security forces and armed groups in the Sebha Municipality to evacuate military camps and hand over weapons to the Sebha Military Headquarters. The statement declared that non-compliance would have consequences. The locations that have been handed over include the al-Qarada Military Intelligence Headquarters, Mahdia Headquarters, Central Security Headquarters in the Stones area, and the Nasiriyah Military Police headquarters. 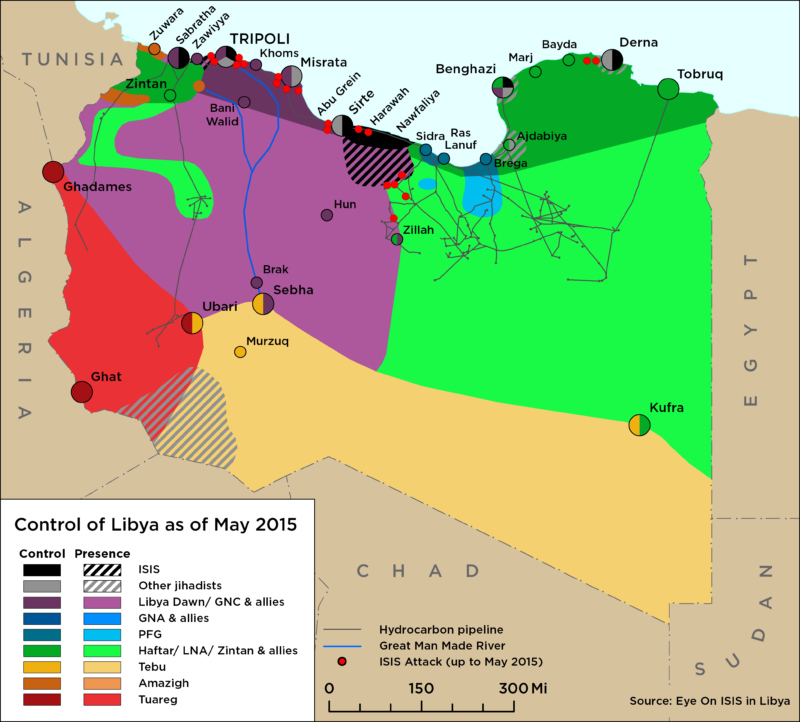 On 20 January, the LNA’s media office stated that it had deployed forces to undertake reconnaissance in the southwest area. On 22 January, it was confirmed that the chief of LNA’s Operations Command, Major General Abdul Salam al-Hassi, is now in Sebha, indicating a full commitment to the operation by the LNA. On 20 January, the LNA spokesperson Ahmed al-Mismari affirmed that the LNA was directly engaging with neighbouring governments, citing Chad and Niger specifically, in regards to its operation in the South. Mismari also remarked that local populations in the South are supporting the operation. However, on the same day, UNSMIL released a statement expressing its concern with the LNA’s deployment and calling for all actors involved to exercise maximum restraint. On 21 January, a ceasefire agreement was reached between the Tripoli Protection Force (TPR) and the 7th Brigade (aka Kani militia) from Tarhouna following a series of clashes in southern Tripoli that began on 16 January, leaving at least 13 people dead and over 52 injured. The 7th Brigade forces have withdrawn from the areas around Qaser Bin Ghashir to the Murqub District, specifically to the Souq al-Khamees Cement Factory and farms in Fam Molqa. The agreement was brokered by the Bani Walid Social Council, which represents the powerful Werfalla tribe, at the Bab al-Bahr Hotel in Tripoli. Though details of the agreement have not been made public, it reportedly includes handing over control of the main road connecting Tripoli to Tarhouna to local security directorates. However, none of the fighting parties have confirmed the ceasefire and initial reports suggest that minor skirmishes between the two groups resumed temporarily on the evening of 21 January in the Souq al-Khamees Emseehil area. The exact cause of the clashes remains unclear and multiple contradictive narratives have been put forth by the competing groups. The 7th Bridge have claimed that the clashes began after the Government of National Accord’s (GNA) Interior Ministry (MoI), led by Fathi Bashaaga, handed over control of the defunct Tripoli International Airport (TIA) to them. Following this, the TPF launched an attack against the 7th Brigade forces in Sidi Sayah and Qaser Bin Ghashir to prevent them from taking the airport. In contrast, the Presidential Council’s Chairman of the Committee on Communication and Security Arrangements, Ramdan Zermuh, suggested the clashes were a result of the MoI handing over the TIA to the Department of Ports, with the 7th Brigade trying to take advantage of the handover to seize the airport. As for the TPF, they accuse Bashaaga of inciting tensions between Tripoli and Tarhouna in order to gain control over the TIA. 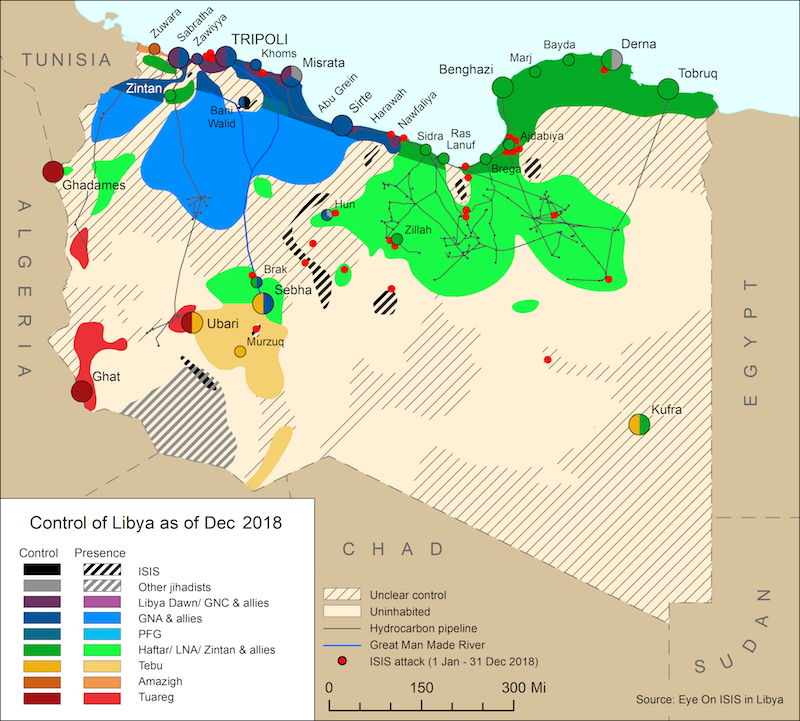 On 20 January, Bashaaga and the head of the GNA Fayez al-Serraj toured the TIA, along with the Commander of the Western Military Region, Usama al-Juwaili, and Commander of the Central Region, Muhammed al-Haddad.